But Wait! There’s More! | So Many Exciting and Beautiful Places! The morning started out cloudy, and there was a little rain and snow early on. The seas remain fairly calm. 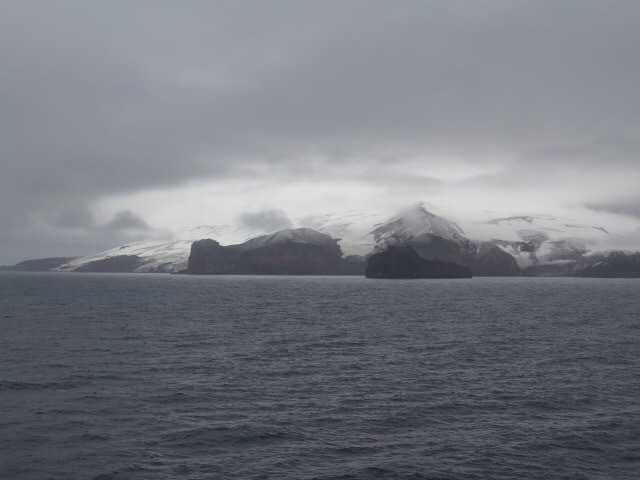 We sailed along the South Shetland Island Archipelago today. 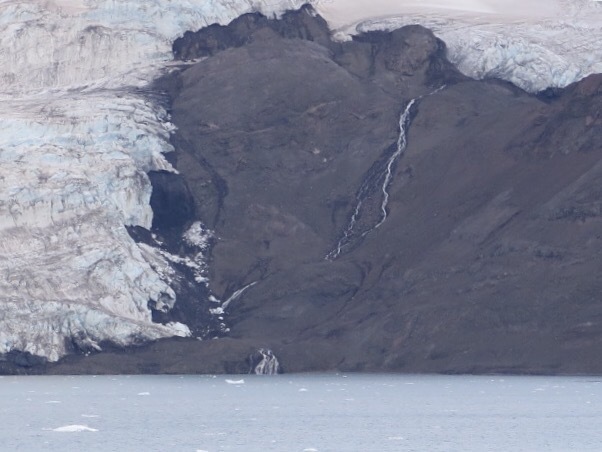 I thought we saw lots of glaciers in Alaska. I thought we saw lots of glaciers in Chile. Antarctica puts them to shame. Decepcion Island is the caldera of an active volcano which last erupted in 1970. 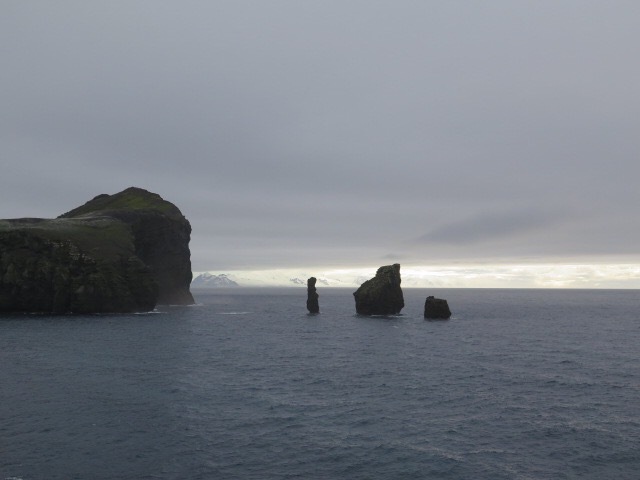 The center of the island provides safe harbor, so is frequently visited by tourists. There are also a couple of research stations here. 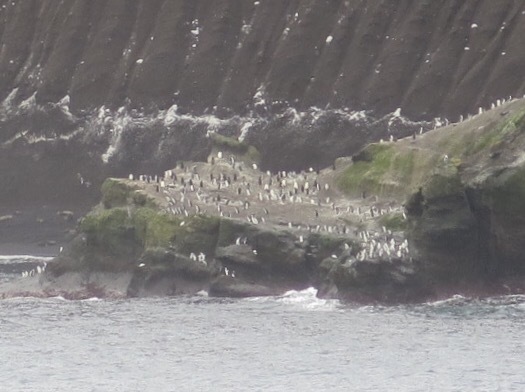 Decepcion is home to about 100,000 nesting pairs of chinstrap penguins. 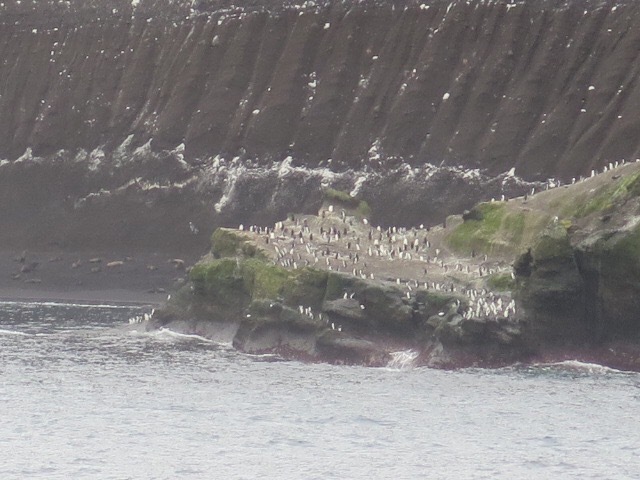 Although too large to enter the harbor, our ship spent about 30 minutes here to give us the opportunity to see them. Fortunately, the island was on our side of the ship, so we could ooh and ahh from our balcony. 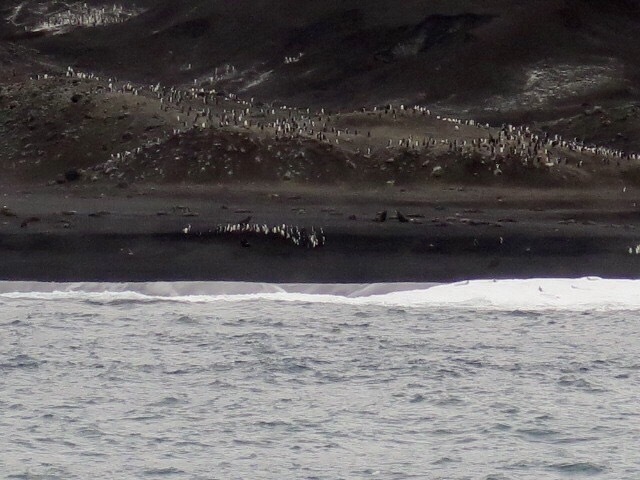 We saw penguins on the beach, on the hills, and in the water. 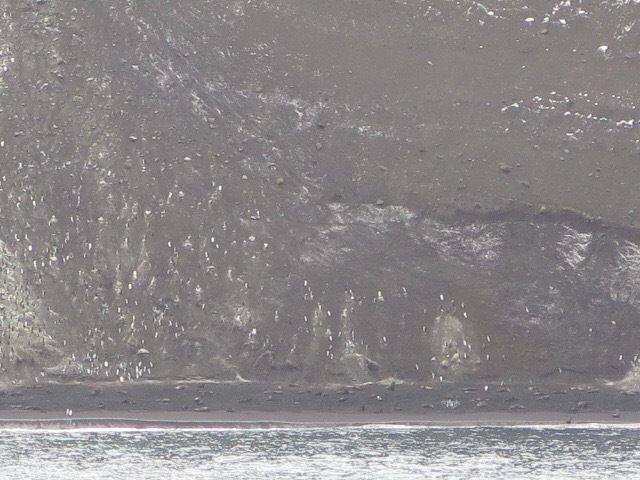 We also saw several seals on the beach and swimming in the ocean. 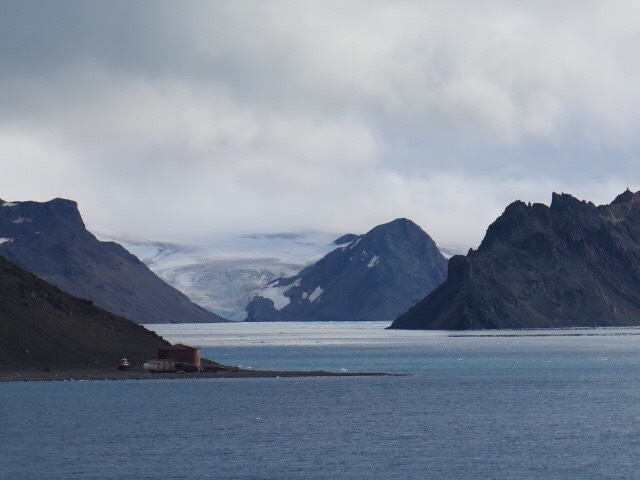 The sun came out this afternoon, and because the weather is so good, the Captain decided to take a detour into Admiralty Bay along King George Island, the largest of the South Shetland Islands, with more, yes even more, glaciers and amazing views and penguins and seals. 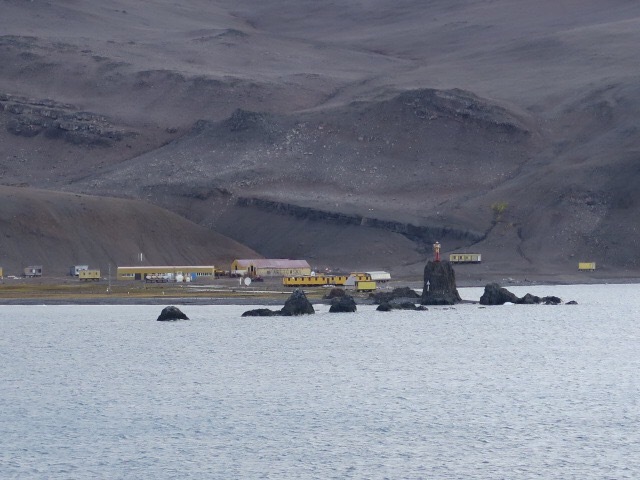 There are numerous research stations here as well as the southernmost lighthouse in the world, at the Henryk Arctowski Station Station, which we sailed by. 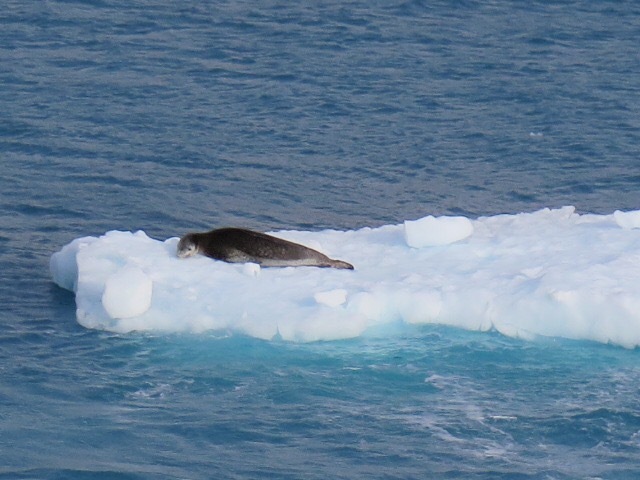 The seal above was enormous. 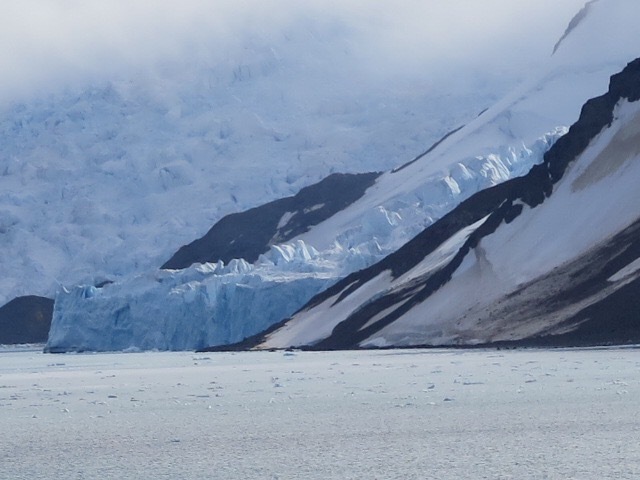 One of Serenity’s tender boats was out in the bay with photographers, and when they pulled up to this ice berg, we could really appreciate the size. This was a little bittersweet for us because we would have flown to this island had we been able to fly to Antarctica from Punta Arenas last week. Still, we have no complaints. 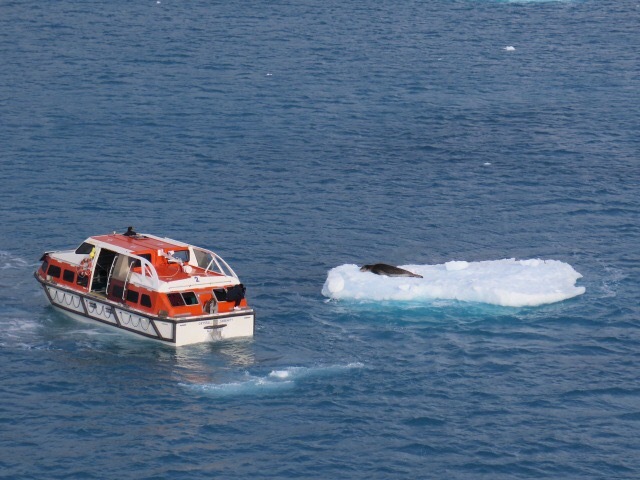 This entry was posted in Antarctica, Crystal Cruises, Penquins and tagged Arctowski Lighthouse, Crystal Serenity, Decepcion Island, South Shetland Islands. Bookmark the permalink. 3 Responses to But Wait! There’s More! How very interesting, you are the best travelogue writer there is, but you spelled berg wrong!